The GPS in the accession number for this species stands for Gerard Paul Shirley, a long time Dutch collector and seller of Hoyas living in the Netherlands. He has not sold Hoyas to the U.S. in a number of years because of some bad shipping experiences. It is unfortunate, because he has a lot of nice stuff that I would love to purchase. It took 3 years for me to bring Hoya sp. Sarawak GPS 10073 to flower for the first time. I received the plant as a cutting from SRQ Hoyas in the summer of 2012, and it flowered in the spring of 2015. It grew a long vine that crawled into the ceiling of my basement grow tent and flowered at a height of six feet. I suspect it should have flowered much sooner but I had a lot of early set-backs. Caring for Hoya sp. Sarawak GPS 10073 is not really all that different then caring for most Hoyas. 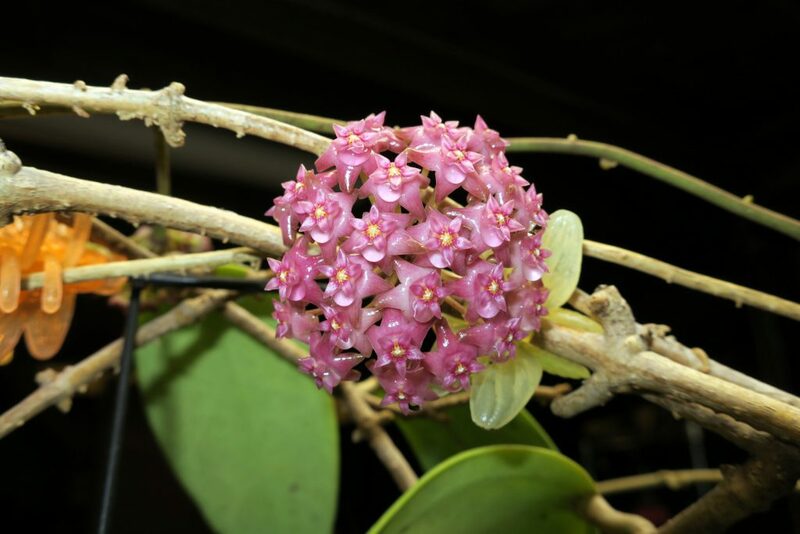 It likes it probably much warmer than the typical Hoya, but other than that the care is pretty much the same. Keep an eye on its root system as it seems to appreciate a slightly more aggressive re-potting schedule. Protect the furniture as Hoya sp. Sarawak GPS 10073 is a heavy nectar dripper, but it is not that big of a problem as it seems to like to flower only in the late spring. The flowers last about five days. I really love the opalescent pink color of the flowers. 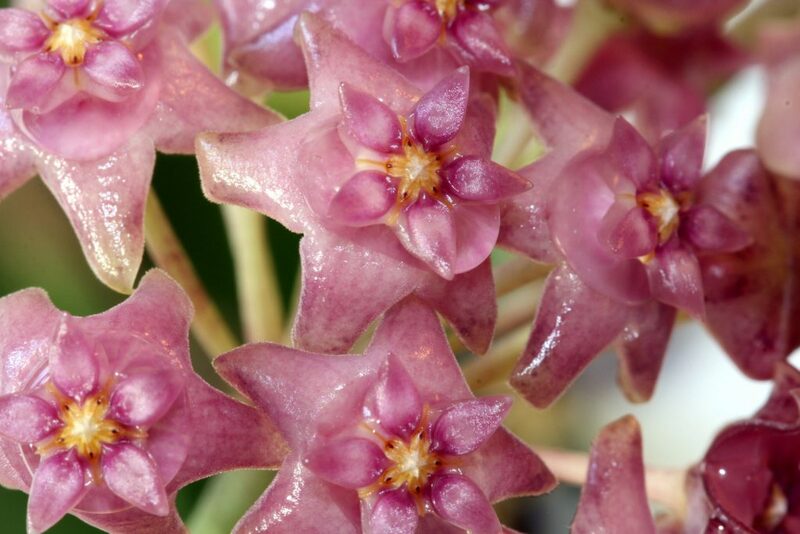 This is a great Hoya with lots to offer and it receives my highest recommendation!